Irisys’ intelligent Queue Management solution is installed in more than 4,000 of the world’s busiest supermarkets – streamlining actionable information that drives shorter lines, faster checkout and superior customer service. Irisys solutions are PCI compliant and powered by discreet thermal technology to help deliver a seamless shopping experience – without compromising your customers’ privacy. Take action today. 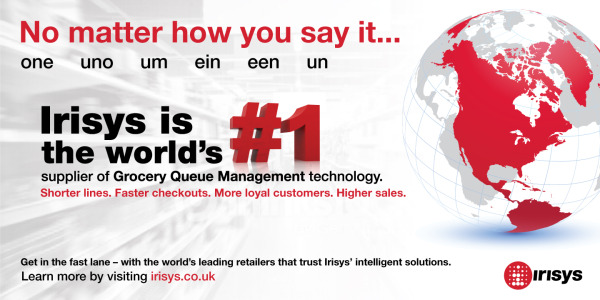 Contact us, or explore our Queue Management case studies to see why, no matter how you say it, Irisys is the world’s No. 1 supplier of Grocery Queue Management technology.